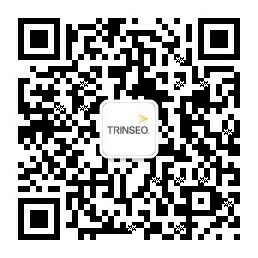 Trinseo (NYSE: TSE), the global materials company and manufacturer of plastics, latex and rubber, recently participated in Chinaplas 2015, Asia's number one plastics and rubber fair, held in in Guangzhou, China. This year over 120,000 visitors attended the conference, where Trinseo introduced its new name, capturing the company's commitment to deliver intrinsic value to its customers. On the first day of the conference, 10 journalists attended Trinseo's media reception and visited the company's booth. During the reception, Martin Pugh, senior vice president and business president of performance materials, along with Charles Lam, Asia Pacific R&D leader of plastics, met with the media to introduce Trinseo's recent developments and latest products. Following the reception, Trinseo held a customer cocktail reception to meet and talk with its Asia customers. Over 70 customers attended the reception. Throughout the three day conference, Trinseo displayed its latest products and technologies for the applications of automotive, lighting, medical and fridge. In addition to exhibiting, Trinseo also sponsored the medical product seminar which was attended by over 100 medical practitioners. During the seminar, Tony Samurkas, director R&D, performance plastics, introduced Trinseo's high performance resins for medical devices.